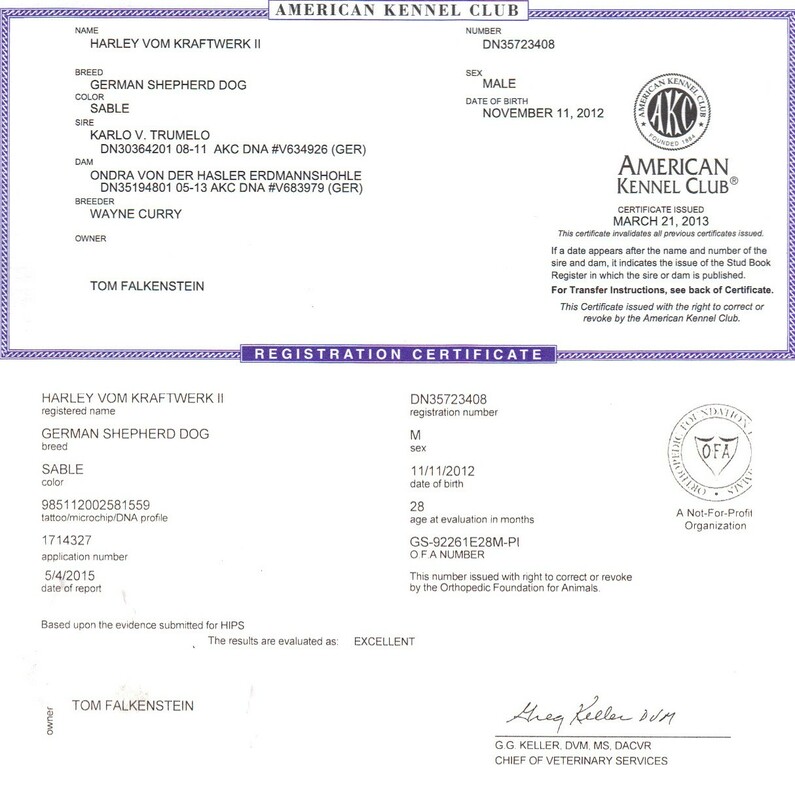 Our dogs are meticulously selected for breeding based upon the very best traits of this amazing breed. 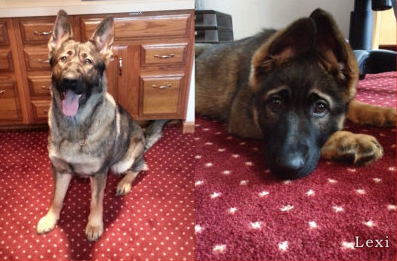 These dogs make great companions, family members, or law enforcement partners. They are naturally protective of their owners and very well behaved. Large, 90lbs all black handsome male with superior intelligence and problem solving skills. 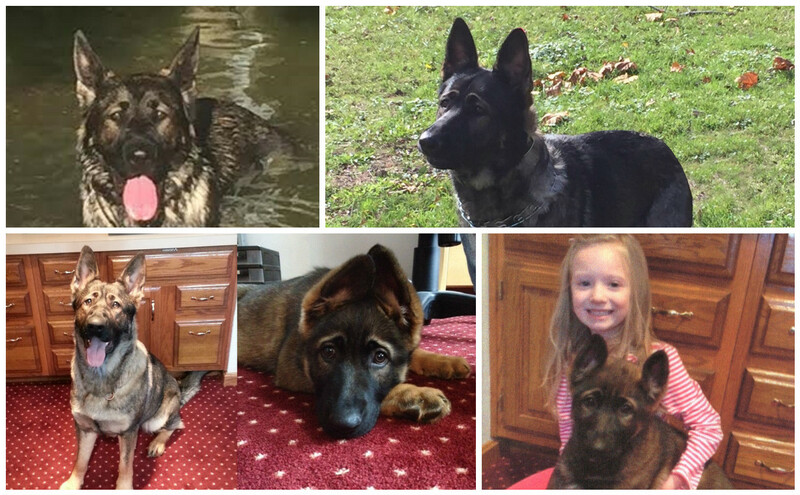 Expert in tracking, daily tasks, easy with handlers, and great with kids. This guy has it all! He is a natural in defense, protection with great on/off switch. This male has high ball drive will play all day and is easy with other pets. Sire-Barry Von Casa Arado with many graet V-Rated champions V-Falk von den Wolfen, V-Ahron von Granit Rose, V Conner von der Staatsmacht list goes on. 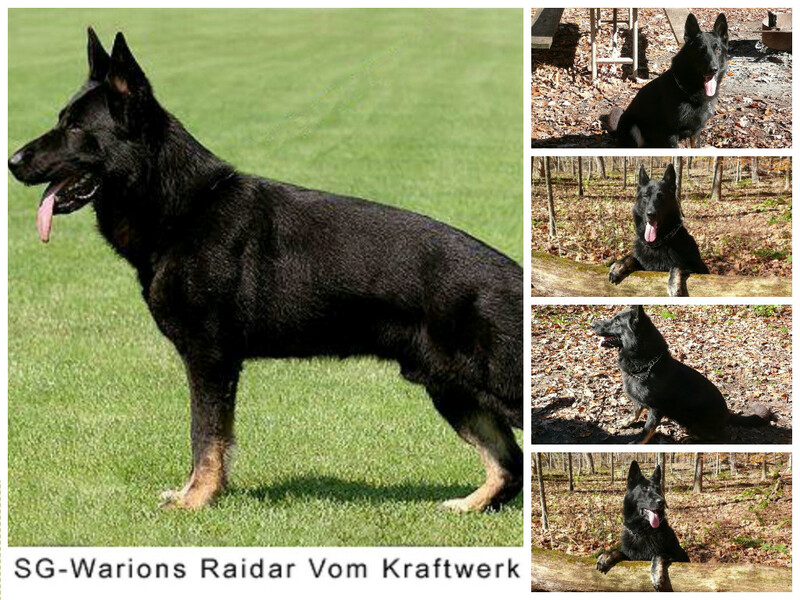 Dam- Hexi Vom Teufel Hund sire Irmus Galan Nalag Sch3, IPO3, SG-Tyson von der Schiffslache 3XBSP, Task vom Haus Milinda CH 98. This male would be great for all venues. 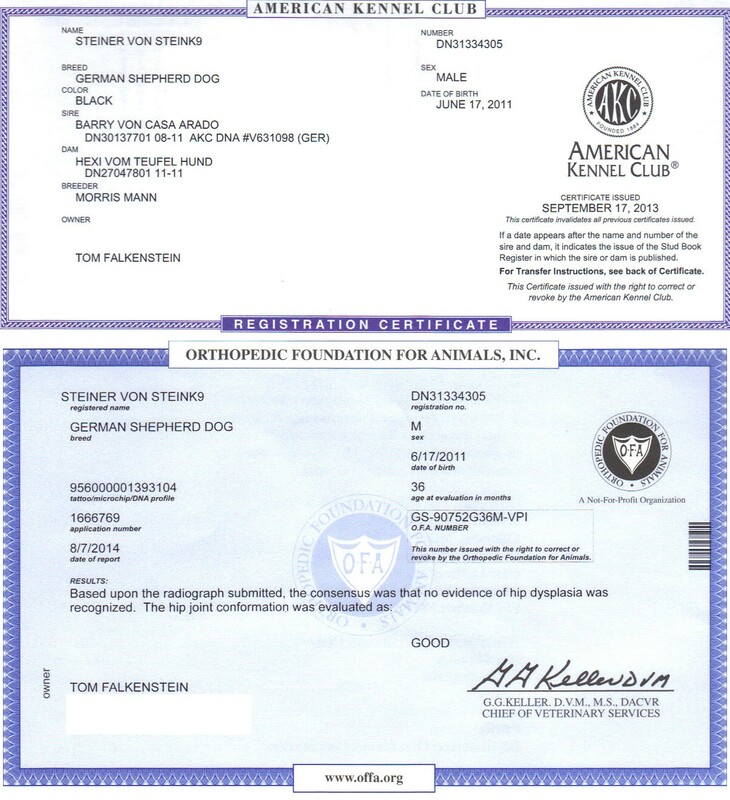 Certified a1 hips/elbows. Large, 93lbs. Very handsome bi-color male with brown and black markings. Heavy boned with V confirmation, alertness, trustworthy, very smart, good under pressure and super with kids or small adults. Both parents are SG well-mannered with excellent social skills. Self-confident and sure in protection work with the best combination of working-lines (lots of great dogs found in the pedigree). Well-known to produce outstanding character, superior working qualities along with inherent ability to handle stress. Big handsome mahogany sable with optimum pigmentation. 105lbs of power and muscle. Bigger than his sire ideal in every way. 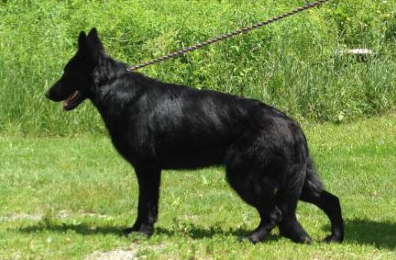 Has the legendary look of the East German bloodlines along with the superior temperament and performance qualities of the west German working lines. Outstanding chest and body proportions, very good correct structure and powerful movement. Massive bone strength with a magnificent head along with imposing expression. Impossible to make unsure with a rock-solid steady nerve base. Pronounced play drive shown by high anticipation for the ball, executing great obedience exercises with speed and determination.One-of-a-kind in protection (the real thing) will guard you with his life if need be. Shows the difficult to find balanced prey and defense drive qualities in protection. Totally sound, launches like a rocket and hits like ea freight train on the long distance courage test. With full and hard grips on the sleeve with intense barking at the blind. His remarkable ability to remain calm under stress combined with his energetic high-powered protection work sets him in a class by himself. Master at tracking title showing his capacity to solve problems and concentrate. 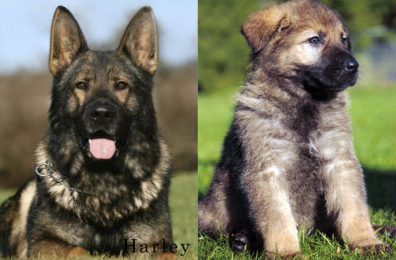 Pedigree is a highly respected combination of east and west German working lines known for optimum health and longevity. Well-known to produce outstanding character, superior working qualities along with inherent ability to handle stress. 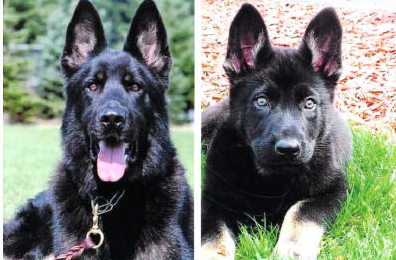 Trumelo SchH3, IPO3, FH1, KKL1, 2012 PNW Regional IPO3 Obedience and Protection Champion. 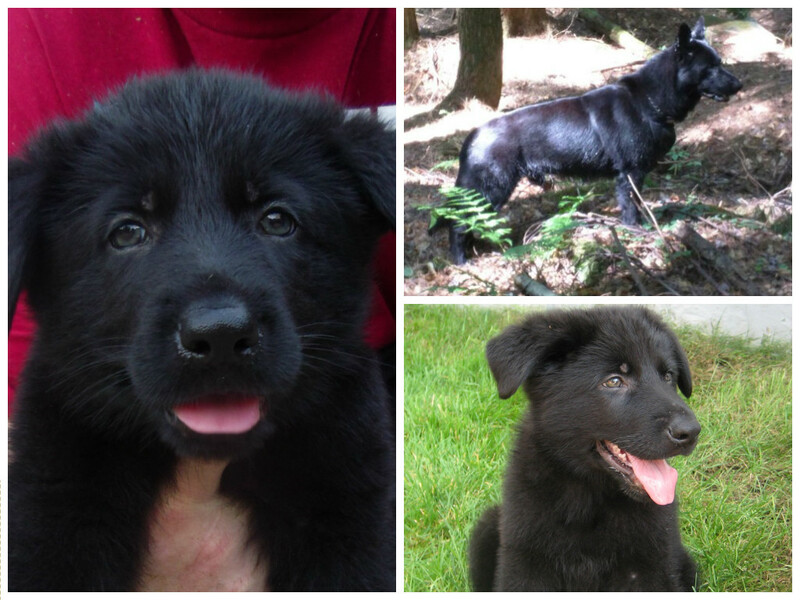 Solid black Female medium in size with large DDR head-type. With correct structure nice bone strength nerves of steel. This girl loves playing ball, highly trainable, and quick to respond to anything asked of her. She is naturally social with people but aloof with strangers. Shows natural desire when comes to herding livestock, tracking, and protection. Very well-mannered around small children. Lines to World Champion Winners INT/UKC CH V(US) Eik vom Clausberg, V Tino vom Felsenschlob and V UCI INT CH Venus vom Grafental. Hips and elbows certified a1. 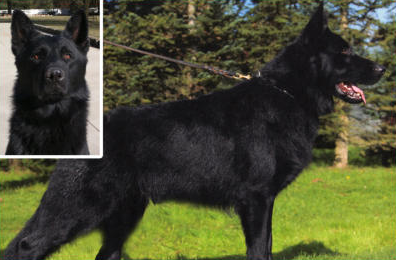 Beautiful Very Large Dark East/West German Sable female. Big and powerfully built hard-to-find with great working ability. Correct structure, huge bone strength and fantastic muscle tone. Self-confident with nerves of steel, with intense but alert expression. high ball drives with pronounced retrieving instinct will play ball or stick all day (very fast for a large dog). Superior bonding capability with the handler and naturally follows the obedience commands willingly. Natural guarding instinct for family and property with pronounced deep barking. 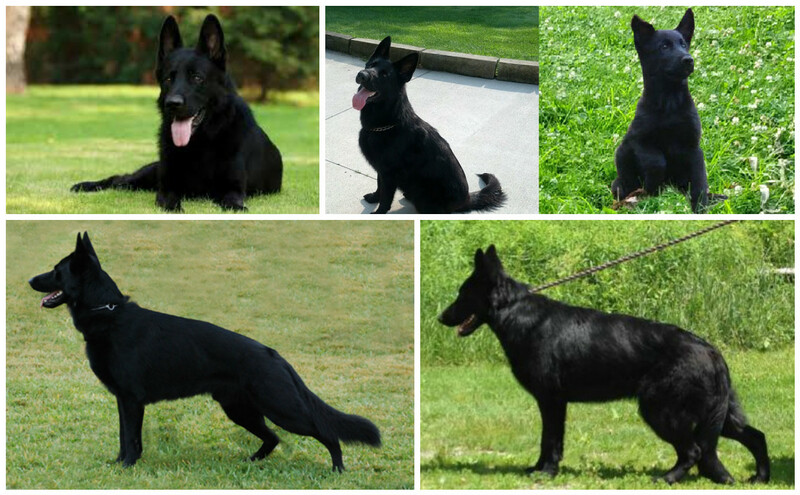 Well-known working line combination of top schutzhund performers known for top health and vitality. 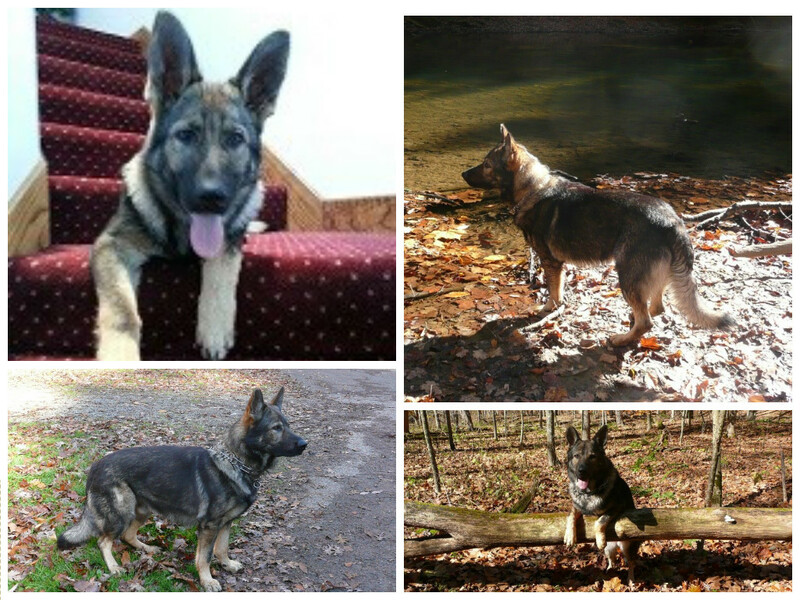 Sire is Luminary Vom SealK9, Dam is Zyann Vom SealK9 with Champions such as Grim Z Pohranicni Straze, V Vello von der Fasanerie, V Lupus vom Lippetal, bloodlines, Zidiane vom Haus Sevens, Orry vom Haus Antverpa, Champion Erika Mat-Roz. Hips and elbows certified A1.